Thinking about life insurance can be depressing, but what's even worse is the thought of leaving your family in the lurch should something happen to you. But how do you know how much insurance is enough, how much is too much, and which companies are most likely to be there with compassion when your loved ones need it most? ConsumerSearch looks at independent ratings, expert guidance and policyholder feedback to find the answers. 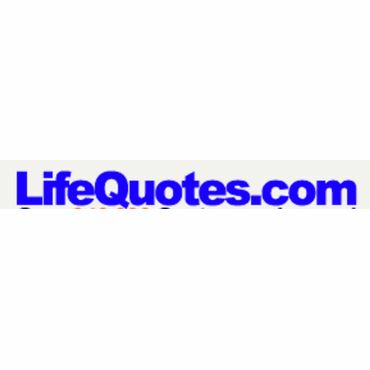 At LifeQuotes.com, you put in your pertinent information and the site searches up to 30 companies to instantly give you quotes for an approximate monthly rate. From there, you can choose which companies you want to interact with. They also feature a number of helpful articles and guides to life insurance. Life insurance may be not be a top priority in tough financial times, but, for most people, life insurance is highly affordable -- as little as $20 to $30 per month for a young, healthy person, depending upon your level of coverage -- and can save your dependents a lot of heartache if something were to happen to you. Most experts recommend a "term" life insurance policy. These stay in effect for a set period of time (say, 20 years) and pay your survivors if you die within that time frame. "Permanent" life insurance policies (including universal, variable and whole-life) are investments that you can cash in before you die. Reliable sources for financial advice -- including ConsumerReports.org, SmartMoney magazine and CNNMoney.com -- don't recommend these costlier policies for most people because they aren't necessary and, despite what some financial product salespeople may tell you, they aren't particularly good investments. It pays to shop around. If you can save just $5 per month on your life insurance premium, that adds up to $1,200 for a 20-year term life insurance policy. The best way to do this is to start online with a service that gives you quotes from a variety of different companies with just a few keystrokes. As with any free product, some are better than others and some ask for more personal information before giving you a quote than you may be comfortable giving out initially. Once you have a short list of good companies to consider, get preliminary insurance quotes from all of them. You can also check with an independent agent who represents several companies to see whether one of the companies will match or beat a certain price. Figure out what your survivors will need. One rule of thumb is that you need life insurance totaling five to seven times your annual salary. Once you factor in college tuition, mortgage payments and more, the number can balloon quickly. You don't necessarily need your survivors to hit the lottery if you die, but you don't want to leave them struggling or homeless either. The best online life insurance quote sites will also have insurance calculators that will make it easier to figure this out. You should buy life insurance when you're healthy. Young, healthy people enjoy the cheapest life insurance rates. However, even if you're young, if you take medication, are overweight, have ongoing health issues, high cholesterol or blood pressure, smoke, have a risky occupation or engage in risky sports, your rates will be higher than average. You can lower your premiums by improving your health and making modifications to your lifestyle. You don't need to buy life insurance until you have dependents. Most people don't have a reason to purchase life insurance unless they have a stake in helping to support someone else after they're gone. There are few reasons to purchase life insurance if there is no risk to anyone else of financial hardship. ConsumerSearch consulted a number of professional rating services to find the life insurance companies that get the fewest complaints and are financially sound enough to be around for the long haul. One of these is sure to give you and your family peace of mind.